Rona Pondick, “Fox,” 1998-99. Stainless steel, 14 1/2 x 8 x 38″. Courtesy of the artist and Sonnabend Gallery. Photo by Taylor Dafoe. Rona Pondick’s world has long been one of astounding perfection crossed with disturbing, yet inviting, mutation. 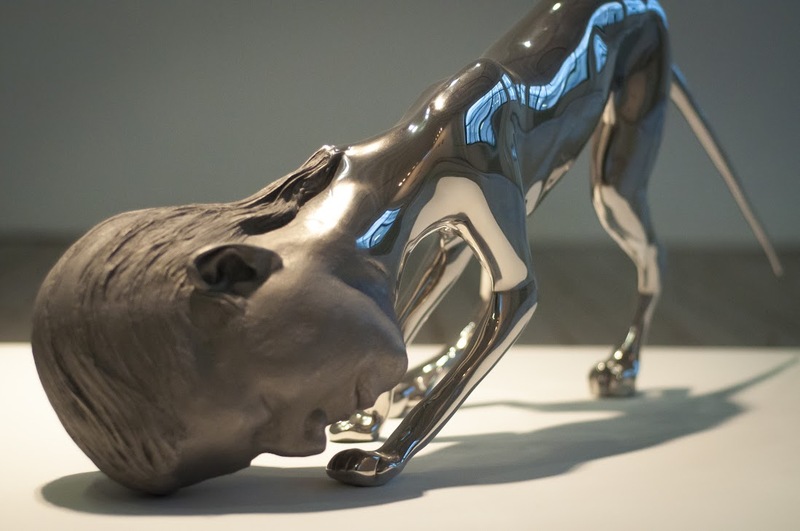 Phantasms of chimerical hybrids, her sculptures, have a presence and personality that make me want to sit on the floor and talk to them, or stroke their gleaming curves and limbs, or twisted plaintive heads as I pass by. They are sleek and gorgeous in their exquisite stillness, always propped at the edge of an action, even as they suggest the grotesque body of Hans Bellmer fused with Giacometti and the bad science fiction experiments of Dr. Moreau fabricated into almost jewel-like configurations. Countless mythologies are peopled by such hybrid creatures, but Pondick’s are undoubtedly the chimeras of our time as she combines the language of modern sculpture with the deep ontological anxiety of the digital/information age. As a sculptor and mythographer of immense skill, she has used 3D computer technology for years to create these hybrid beings of human, animal, and creaturely being. For Surviving Sandy, she and Phong chose two works, one from 1998 – 99—Fox, the other, Untitled Animal, 1/3 from 1999 – 2001. They appeared in the massive exhibition space as knowing visitors from a world out of balance. Consumed as we were by the vast canvases and many works that filled the monumental industrial space of the exhibition, when I came upon Fox 5/6 I felt comforted and called to from its place on the floor. Here we are, it said, together and moving onward after the storm. 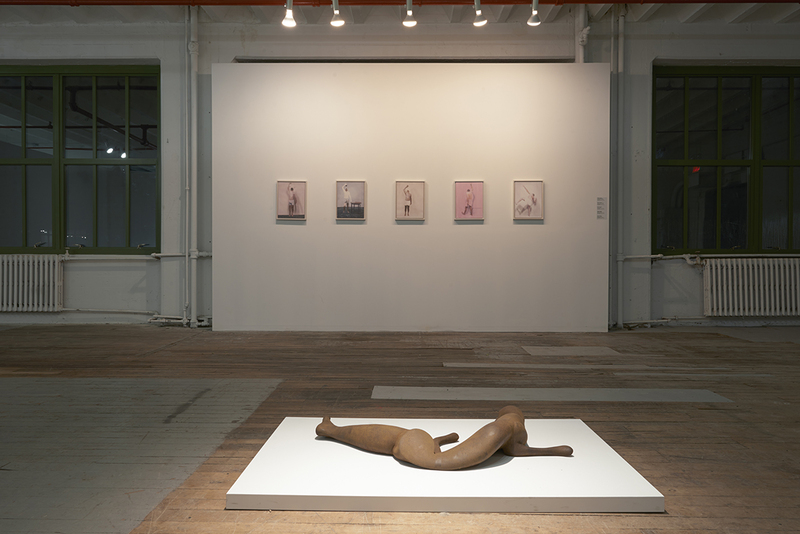 Rona Pondick and Robert Feintuch, installation image. Courtesy of the artists and Sonnabend Gallery. Photo by Zack Garlitos.